Many highly-regarded, Bible-believing scholars, pastors, and other Christian leaders see no incompatibility between the teachings of the Bible and acceptance of an ancient Earth. In the past, I have highlighted J. Gresham Machen, Charles Spurgeon, Francis Schaeffer, John Piper, and others. The scholars I just mentioned all adhere (or adhered, many of them are deceased) to a high view of Scripture, including inerrancy. It would be very difficult to make a case that they accept the Biblical possibility of an old Earth because of conformity to the world rather conformity to the teachings of Scripture. Modern science has promised more than it can deliver. That accounts for much of the cynicism postmoderns seem to have toward the answers to their ultimate questions. To be sure, science is better equipped to answer some questions than any other field. For instance, it is science and not theology that will tell us the age of the earth. The Bible does not provide that kind of information, nor does it care to. There are a lot of important and reasonable questions the Bible does not try to answer. If it did, there would be a lot of unemployed geologists. Many YEC leaders speak out of both sides of their mouths regarding the gospel and the age of the Earth. On their better days, YEC leaders acknowledge that one does not have to believe in a young Earth in order to be a Christian. But then they write a steady stream of articles accusing old-Earth Christians of compromise and even spiritual adultery. I am thankful for writers like Michael Horton who, unlike many of my YEC brothers and sisters in Christ, are able to stick to what is essential in the gospel message. The Grand Canyon: Monument to an Ancient Earth (2016), edited and written by a number of highly-qualified, predominately Christian authors, is a devastating critique of the geological arguments of young-Earth creationism (YEC). The subtitle of this new book asks the question, “Can Noah’s Flood Explain the Grand Canyon?” which is an appropriate question, being that YECs often showcase the Grand Canyon as a place that defies standard, old-Earth geological explanations and can only be explained by a global catastrophic flood event. The authors present an overwhelming case that neither the rock units exposed in the canyon nor the carving of the canyon itself are in any way related to Noah’s flood. This book is authoritative – written by experts in the topics at hand and in the geology and paleontology of the Grand Canyon. 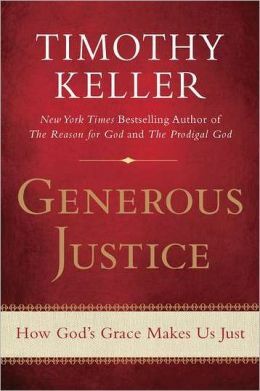 This book is well written and skillfully edited. Each of the twenty chapters clearly explains the topic (such as the formation of sedimentary rocks, folding and faulting of rocks, and fossils) and how these features may be used to interpret the origin and history of a given rock layer. The Grand Canyon: Monument to an Ancient Earth was written by eleven talented authors, and the editors have weaved their chapters together seamlessly. This book is written at an appropriate level for a general, scientifically-interested audience, taking complex geological ideas and explaining them in a way most readers will understand, without any compromise in accuracy. This book is fair to our YEC brothers and sisters in Christ. I have been reading YEC materials for close to four decades, and am familiar enough with YEC arguments to be able to say with confidence that the YEC side has been explained accurately. This book is a work of art, with wonderful pictures and graphics and a professional layout. It will look good on any coffee table. 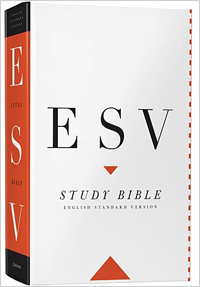 This book is affordable: only $21.05 on Amazon. That means you will have no problem buying copies for your church library, pastor, and youth workers. 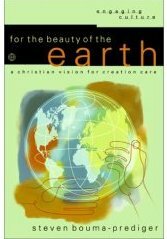 This book is God-honoring, proclaiming the marvelous works of our wonderful Creator. The name of the book is a play on the 1995 YEC book Grand Canyon: Monument to Catastrophe, written by Steven Austin of the Institute for Creation Research. YECs get the Bible wrong. In Chapter 2 (What is Flood Geology? 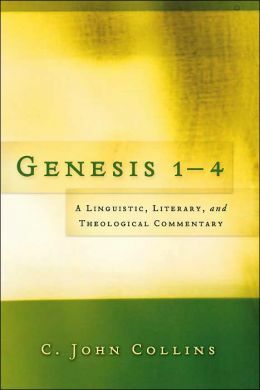 ), the authors briefly outline instances where YECs wrongfully apply an overly-literalistic reading to the Old Testament rather than reading the text in a natural way. One example of this is taking the universal language (“all the world”) of the account of Noah’s flood to mean literally the entire globe (something ancient Hebrews may not have comprehended) when almost all other instances of universal language in the Old Testament (e.g. all nations coming to buy grain from Joseph in Genesis 41) are not to be taken literally. YECs get rapid deposition wrong. YECs will claim that modern coral reefs, some of which are thousands of feet thick, could have formed since the flood through normal coral growth, which can occur at several inches per year. But they leave out the fact that while narrow extensions of corals can grow rapidly, entire reef surfaces grow upwards at substantially slower rates. YECs get sedimentary structures wrong. Sedimentary structures include things like ripple marks, mud cracks, raindrop impressions, and cross bedding. These features are abundant in sedimentary rocks, and are very useful for determining the environment in which the rocks formed. Mud cracks form when clay-rich sediments are exposed to the atmosphere and dry out. Mud cracks are very abundant in some rock layers, and extremely difficult to fit into the flood geology model. YECs get unconformities wrong. Unconformities are breaks in the sequence of rocks, such as the one billion year gap between the Precambrian crystalline basement rocks and the Cambrian Tapeats Sandstone. YECs describe these unconformities as if there was no evidence of weathering and erosion at the gap, while in reality the evidence for erosion at the unconformities is sometimes rather blatant, such as in the case of the channels filled in by the Temple Butte and Surprise Canyon Formations. The Surprise Canyon Formation fills what appear to be stream channels that cut up to 400 feet into the underlying Redwall Limestone. YECs get radiometric dating wrong. If decay rates were much faster during Noah’s flood than they are at present, enough heat would have been released to vaporize Earth’s oceans, which clearly didn’t happen. YEC attempts to discredit radiometric dating of Grand Canyon rocks are flawed. YECs get rock deformation wrong. YECs insist that the rock layers of the Grand Canyon were soft when the canyon was carved, and point to tight folding of certain layers as evidence. Upon close examination by geologists, however, these folded layers show an abundance of fractures that are consistent with folding of solid rocks and inconsistent with folding of soft sediments. Soft-sediment deformation is well-understood by modern geologists, and there is no evidence for large-scale soft-sediment deformation in the Grand Canyon. YECs get erosion wrong. In the Grand Canyon, sandstone layers form cliffs, and shale layers form slopes. Have you ever tried to build a sand castle with water-saturated sand? It doesn’t work, as the sand flows as a liquefied mass. But YECs want you to believe that recently-deposited (and therefore water-saturated) sand layers would have formed cliffs when eroded. If the sediment layers in the Grand Canyon were soft when eroded, the most resistant layers would be clay (which forms shale). Differential erosion of layers in the Grand Canyon is the opposite of what it should be if YEC flood geology were correct. YECs get fossils wrong. The order of fossils in the Grand Canyon is impossible to explain by YEC flood geology. Any explanation for the fossil record must explain the preservation of intact communities of organisms, not just individual fossil organisms. The absence of whole groups of fossils in Grand Canyon sediments (mammals, birds, dinosaurs, flowering plants) is impossible to explain by YEC flood geology. YECs get pollen wrong. If YEC were true, there should be pollen from flowering plants in the rocks of the Grand Canyon. There isn’t any. YECs get trace fossils wrong. Examples of trace fossils include footprints and burrows. Terrestrial footprints of organisms such as amphibians, spiders, and scorpions are virtually impossible to explain in the YEC flood geology scenario, but they are abundant in the Coconino Sandstone. YECs get the carving of the Grand Canyon wrong. The YEC breached dam hypothesis doesn’t provide nearly enough water to do the work. Other examples of catastrophic canyon-carving (Channeled Scablands, Mt. St. Helens) produced features that are quite different from what is found at the Grand Canyon. I have only scratched the surface of the problems with YEC geology that are presented by the authors. “The various authors of this book have done us all a tremendous service in their patient and clear exposition of geological thinking about the Grand Canyon (a magnificent place in its own right!). They are all clear that the “conflict” we’ve all heard about is not between “the Bible” and “Science,” but rather between interpretations of the Bible and the sciences. Those of us who study and respect the Bible will appreciated this calm laying out of the sciences, and of their discovery of the processes that appear to have been at work. These are God’s processes after all! I urge everyone to read this, believer or not—you will enjoy it.” – C. John (“Jack”) Collins, Professor of Old Testament, Covenant Theological Seminary. An excellent book like The Grand Canyon: Monument to an Ancient Earth is unlikely to “convert” a die-hard YEC follower all by itself. I was once a YEC, and held on rather stubbornly to my YEC beliefs as a geology undergraduate student even as I increasingly saw scientific problems with YEC geology. It wasn’t until I was exposed to Biblical arguments for an old Earth (or better, arguments that a young Earth is not Biblically necessary) that I became open to an old Earth. So far, the YEC response to The Grand Canyon: Monument to an Ancient Earth has been a deafening silence. 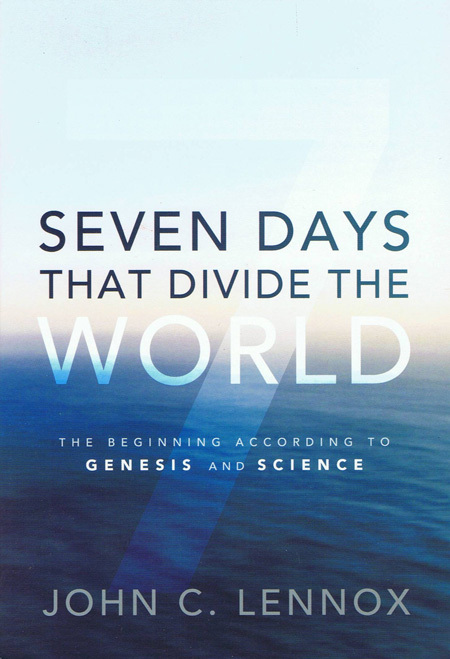 There have been no mentions of this book on the web sites of Answers in Genesis, the Institute for Creation Research, or Creation Ministries International. When I have mentioned the book on the Facebook pages of AiG and ICR, my comments have been quickly deleted (at least one other Christian geologist has made the same observation). I anticipate that YECs will eventually write reviews of the book, but might put these reviews in the back corners of their web sites so as to give the book as little publicity as possible. 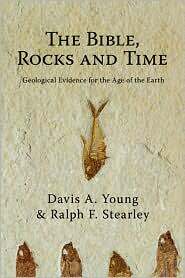 YECs will say that the book is not based on the Bible (but of course, neither is YEC flood geology when you think about it), that the book was written by compromisers as evidenced by the inclusion of some non-Christian contributors (should we reject much of other sciences for the same reason? ), and that there is always more than one way to interpret the facts (but not all interpretations have equal validity). 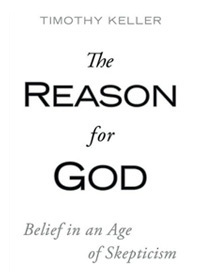 In the end, YECs will ignore this fantastic book and continue to present really bad science as Christian apologetics. The result will be a continued exodus of scientifically-minded youth from the church and the reinforcement of the wall YECs have put up that keeps scientists from considering Christianity as a viable alternative. People reject Christ because of bad YEC science every day, and this is a great tragedy. But my hope and prayer is that The Grand Canyon: Monument to an Ancient Earth will have a tremendous impact on those who read it, and it sounds like sales are going well. I pray that God would use this book to build up the body of Christ, educate both young and old, and break down barriers to Christian faith.